What does the future of tech look like? Find out during this fireside chat with Boost VC, a Silicon Valley preseed fund & accelerator making Sci-Fi a reality investing in Crypto, VR/AR, AI, Space, Human Augmentation and more. 6:00 - 7:00 p.m. - Closing Comments and networking until 7 p.m.
Maddie is the Director of Operations at Boost VC, the Virtual Reality & Blockchain accelerator and pre-seed fund in Silicon Valley, co-founded by Adam Draper & Brayton Williams. With a portfolio of 250+ emerging tech companies, Boost VC is making Sci-Fi a reality! 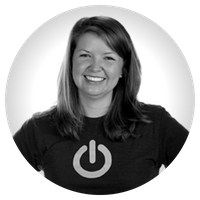 Alice is a successful technology entrepreneur and dedicated community leader and mentor. 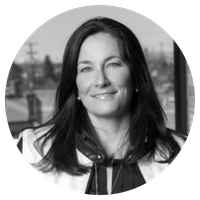 She co-founded Calgary-based Evoco, leading the innovative SaaS firm from initial concept through to a 2012 acquisition. Most recently, Alice was the CEO of Chaordix, a pioneering software leader in the crowdsourcing and open innovation space, with global clients including LEGO, Procter & Gamble, KPMG, and IBM.